When decorating your home plant pots are often an afterthought, but choosing the right planters can set the theme of your property by either subtly complimenting its features or even creating a striking focal point. 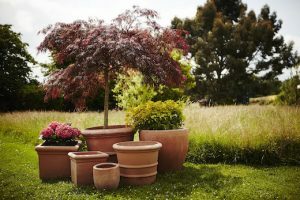 In recent years the search for garden planters has become more and more complex, gone are the days of a quick trip to a garden centre with one or two choices available. 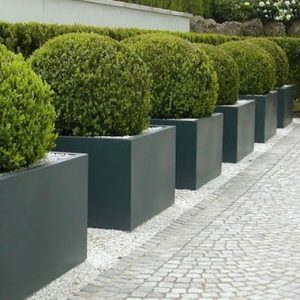 The planter market is saturated and consumers are bombarded with a huge choice of materials and finishes. Leading supplier of garden planters and features, The Pot Company, offer a wide variety of materials and the sales team are more than happy to guide customers through the available options. From rustic planters suited to character properties to sleek and contemporary styles for the more modern home, customers can find the perfect planter for that finishing touch to any outdoor space at The Pot Company. Terracino is fired in high-powered gas kilns to a much higher temperature than standard Terracotta, and as a result boasts frost resistance up to -40 °C. The hand finished range has a warm, natural feel and is available in a wide range of designs and sizes which range from 10-100cm in diameter. This classic Tuscan look lends itself well to the majority of properties and the updated manufacturing techniques also make it a reliable option. Its durable credentials, versatility and timeless look make it a popular choice amongst customers. 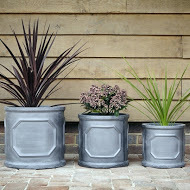 These eco-friendly faux lead planters have a traditional and authentic look yet represent excellent value for money. Manufactured from recycled materials, Clayfibre production requires only 10% of the energy used for ceramic and plastic equivalents. 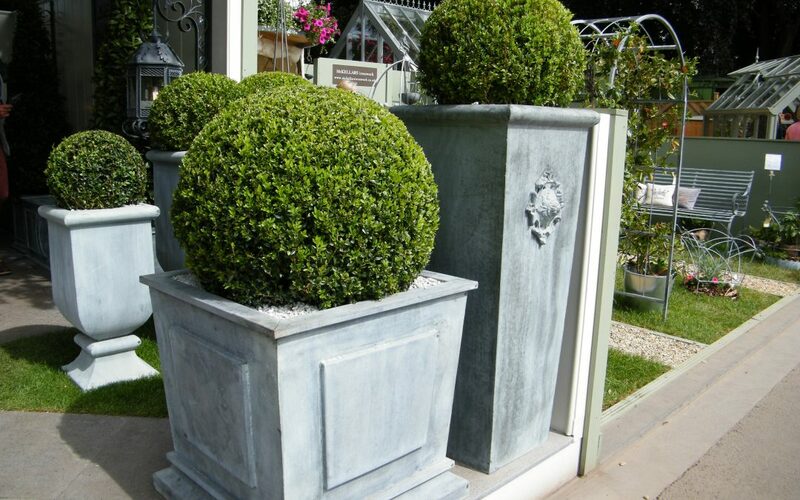 The planters are lightweight enough to be easily moved before planting and will weather gently and realistically resulting in an attractive faux-lead patina. The range includes boxes, troughs and cylinders in a range of designs with the most popular being the classic Georgian panelled Chelsea Design. Due to its endless life span and extraordinary strength Corten Steel’s original use was re-inforcing bridges. Starting out as a blue steel, as soon as it’s exposed to the elements it will naturally weather and develop a rich eye catching finish. 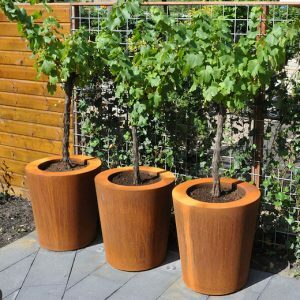 The rust provides a protective seal making these planters virtually indestructible. The warm industrial feel is very on trend at the moment, and Corten Steel was a prominent feature in an award winning garden at the Chelsea Flower Show this year. 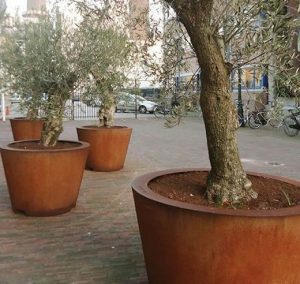 The Pot Company’s Corten Steel is hand crafted in Europe and is available in boxes, cylinders and troughs, with bespoke sizes also available. Fibreglass is a popular choice for consumers wanting a high quality contemporary look in a lightweight material. Durable, frost resistant and easy to wipe clean this planter is ideal for internal or external use. 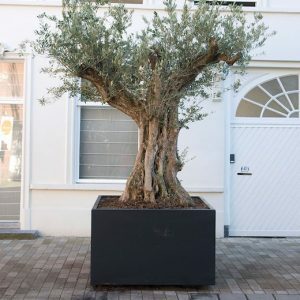 The Pot Company’s Fibreglass is available in a range of colours and, rather than being painted, the colour is added during the formation of the raw fibreglass, this manufacturing process means that the planter will keep its colour even if knocked or scuffed. To add further reliability it has also been reinforced at the corners. This range is available in boxes, cylinders and troughs in an extremely wide range of sizes including large statement pieces. For a roof terrace or a balcony Fibrestone or Fibreglass are the perfect lightweight option. Clayfibre is ideal for customers wanting an eco-friendly container. If your planter will be exposed to strong winds a non-tapered shape will be the least likely to blow over. If you’re concerned about frost Terracino, Fibreglass and Ironstone all have very good frost resistant properties. In addition to planters, The Pot Company also offer burners, wood storage and water features. For more information, visit www.thepotco.com or call a member of their sales team on 01892 890 353.